Can Reading Help Your Child Avoid the ‘Summer Slide’? There is a natural crescendo of any school year that typically culminates with a finale of tests, projects, events, and celebrations. Children (and parents) often crave rest and relaxation after the last bell rings. Whether students have been studying language development in Pre-K, or global citizenship in middle school, it is undoubtedly important to take a break from the academic rigors of the school year. But how can parents ensure that their children stay sharp during the summer months, particularly when American reading and math scores remain stagnant? When the weather gets warmer and school becomes a hazy memory it’s not always easy, but it’s important to stimulate young brains continually. Researchers believe that reading at least four books during the summer can help stave off learning loss. What is the ‘Summer Slide’? Most parents look to their children’s schools for information about summer reading. In addition to soliciting recommendations from your child’s teachers and librarians, local libraries can also prove to be a helpful way to supplement summer reading lists. And, if all else fails, recruiting inspiration from famous athletes could do the trick! The Massachusetts Board of Library Commissioners is challenging students in Massachusetts to read four books this summer—and to share their experience with others. As a sponsor of the Summer Library Program, the Boston Bruins will visit libraries across the state to celebrate the reading successes of children and to provide encouragement. The Boston Bruins shared a list of their favorite children’s books, as well as their favorite books about hockey if you’re searching for a few good reads. Why is student choice so important? Each division has different expectations; however, everyone may choose their own books to read. The only caveat is that the book choices must come from one of the School’s lists. If a child finds a series on one of the lists that he is enjoying, he may read all of his required reading from that series. This mirrors Fessenden’s philosophy about student choice and developing a love of reading during the academic year. 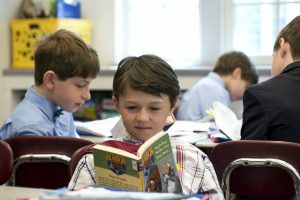 The school recently redesigned its reading curriculum to increase opportunities for students to make their own book selections. 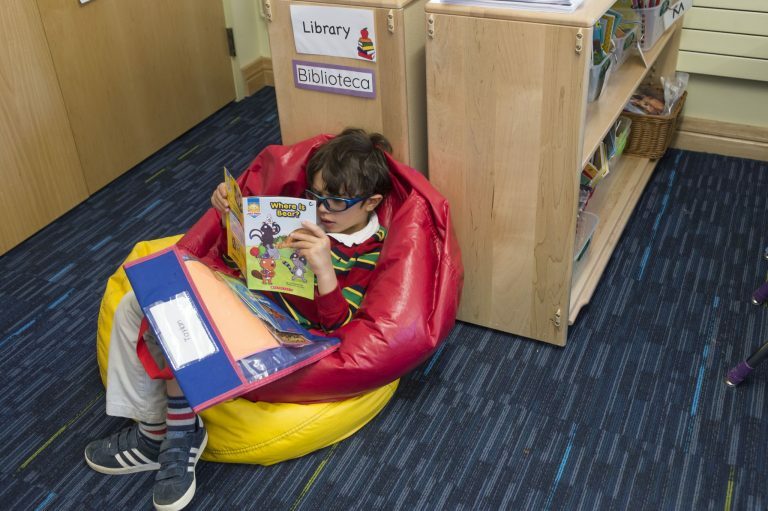 Two of the most notable outcomes of the new curriculum are the number of books boys are reading and the enthusiasm with which they’re approaching their materials. The idea is that students, families, and teachers will witness the same benefits during the summer when a child is enabled to read what sparks their interest or imagination. Share some of your child’s favorite books in the comments section below! Can a Four-Year-Old Understand ‘Character’?